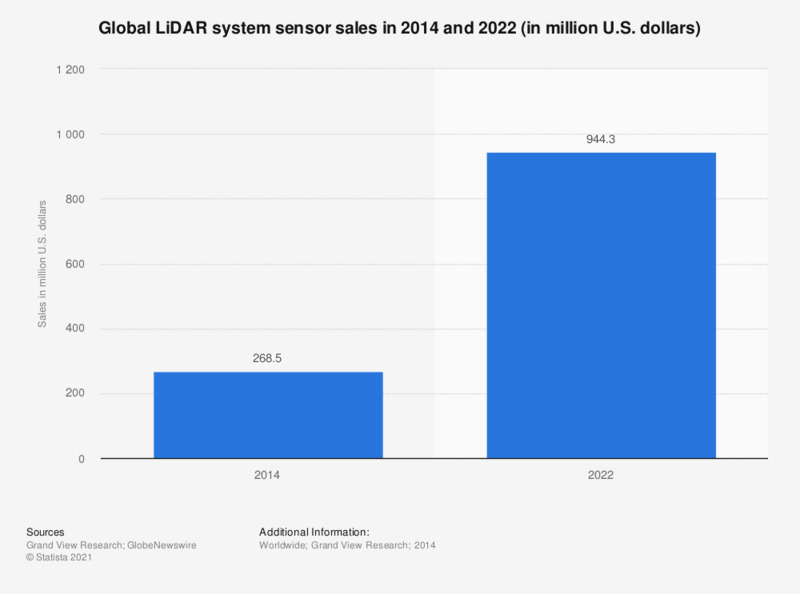 This statistic represents the global LiDAR (light and radar) market in 2014 and 2022. It is estimated that the global LiDAR market will grow at a CAGR of 17.3 percent between 2014 and 2022 to be 944.3 million U.S. dollars in 2022. The 2022 figure is a projection.